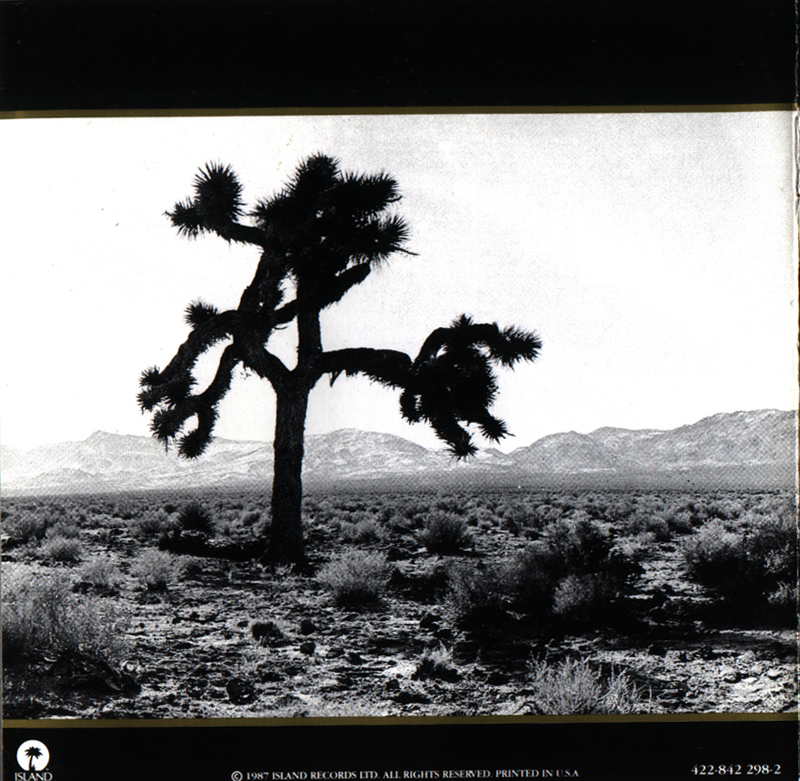 In 1987 the band U2 came out with an album called the Joshua Tree . I didn’t really pay much attention to the album… at first. By the summer of 1988 I was completely addicted to U2 and their music. The Joshua Tree was the first com pact disc I ever bought. Upon a dock I would lay staring up at the night time sky, I had a portable cd player with headphones . I could fee the gentle nudge of waves moving the dock to and fro. The Joshua Tree album served as a perfect soundtrack, Songs that spoke to my youth of the endless possibilities in a star filled sky, As years passed I came to see the Joshua Tree album as an extraordinary work of art. I regret having missed out on the Joshua Tree tour. The music was new and full of fire in 1987, In 1992 when I finally did catch a U2 concert the band had changed their look. Zoo TV was the new idea , The show was really good to be sure but I was looking for 1987. I knew that I had missed out on something really special. If I had to describe U2 using only a single word, the word would be unity. Unity is something Ireland has been looking for, for centuries. (Sunday, Bloody Sunday)The name U2 could be taken to mean – “You, as well “.An invitation from the band, possibly? 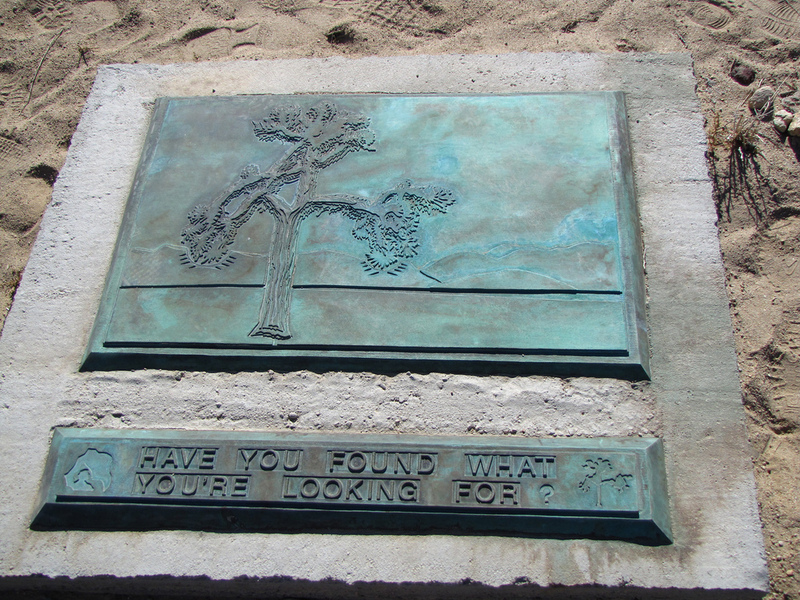 In 2002 1 got the idea to go out searching for the U2 tree. I went out looking for a bit of 1987. I was seeking a hidden truth, I wanted to see a place where the streets had no name, Bono’s lyrics are clearly illustrated by the desert landscape. I had read that the tree had fallen over and died around 2000. So I thought the tree would make an appropriate subject for a plaque , something to commemorate the tree and the era that it had come to symbolize. I wanted to permanently mark the spot where U2’s tree had once stood. 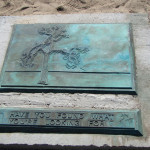 My involvement with the plaque and the tree has become like a handshake with the past.